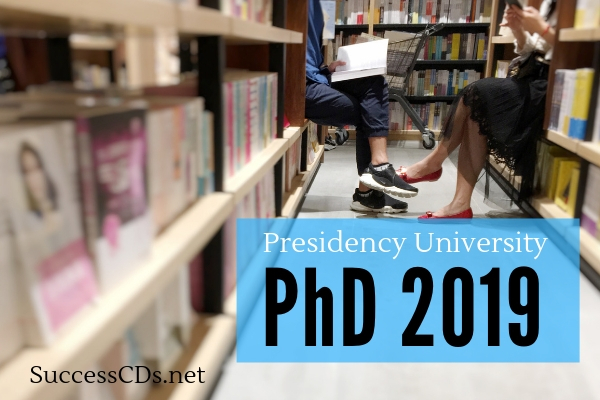 Essential qualification: Candidates for admission to the Ph.D program shall have a Master’s degree with at least 55% of marks in aggregate or its equivalent grade. Following the admission procedure, a list of qualified candidates (preferably mentioning their areas of research interest(s) will be published and displayed by the University through the respective faculty offices and official website. Print out of the online generated application form along with self-attested photocopies of the essential documents need to be submitted by post or by hand at the office of the Secretary, Faculty Councils, Presidency University, 86/1, College Street, Kolkata-700083 within the last date for receiving during office hours.